Taxes are not something that people or companies look forward to every year, but they are a necessary evil. Astute Bookkeeping staff are experienced in regard to tax preparation. IRS Audits are not an enjoyable experience. We can help you with IRS audits as well in regard to an IRS letter reply to representing you in-person. Sales Tax is required by most companies that sell any type of product or sell parts or materials as part of the service they provide. Sales Tax can become extremely complicated very fast depending on how many jurisdictions for which a company is required to file. Astute Bookkeeping is able to ensure that the gross sales, net sales, non-tax sales, and sales tax collected and due is calculated correctly and each agency is paid accurately and on-time. Our tax preparation services also include consultation in regard to tax-saving strategies, helping you plan for upcoming tax years, and estimating quarterly tax payments. 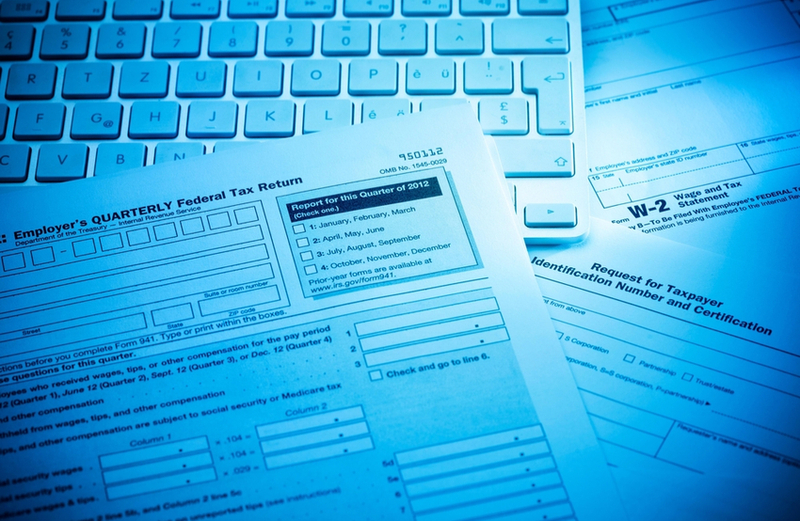 Our tax services are vast and include multiple facets. Therefore, it is impossible for us to provide a pricing structure for our tax services. Contact us today to schedule a FREE consultation. We will prepare a customized quote based upon your specific needs. Our owner, Chad Hensley, is very unique in his skill sets. He is educated and experienced in numerous areas of business, accounting, and marketing. He is your one-stop shop for providing support services for your organization. All of his organizations are passionate about helping our clients achieve their dreams. Astute Bookkeeping is here to help with your bookkeeping, payroll, taxes, and business needs. Astute Technology can help you with your technology needs from computer networks, servers, workstations, backup, managed services, and training. Absolute Marketing Solutions can help you with TV advertising, website creation, SEO, search engine marketing, and much more. Technology has become a force in the accounting industry. Accounting is now handled exclusively with computer systems and software. Astute Bookkeeping works closely with our sister company Astute Technology Solutions for any technical issue. As our client, you are covered in the realm of technology between Astute Bookkeeping and Astute Technology. If you would like to find out more about our sister company, please click here. Astute Bookkeeping offers business solutions to our clients. However, sometimes businesses might need some marketing assistance with an effort to increase market share. We are here to help our clients achieve their goals. Therefore, our sister company Absolute Marketing Solutions can help our clients with their marketing needs. If you would like to find out more about Absolute Marketing Solutions, please click here.